REDLANDS, Calif. – The Inland Empire’s Manufacturing section is starting to weaken after 24 months of sustained growth. Some are worried this may only be the beginning of the end. The beginning of a loss. 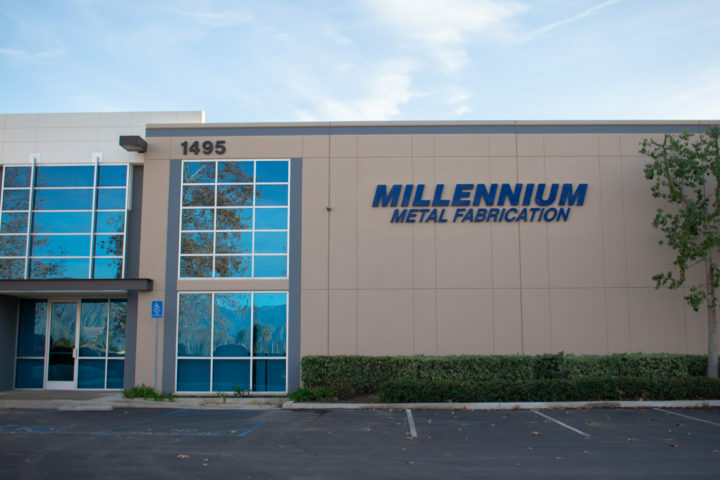 Metal producer, Millennium Metal Fabrication Inc. located in Redlands, California is slow in production due to receding employment. Photo by Citlaly Carlos. CSUSB Institute of Applied Research reports the Purchasing Managers Index has fallen from 54.0 to 51.7 from the month of November to the month of December. A score of 50 means there is still growth. Kim Victorine is the Director of Operations at Plastic Plus technology in Redlands, California. Their factory in Redlands manufactures plastic products that are distributed all over the world. Victorine mentions how employees are one of their top priorities. “The availability of laborers is a challenge right now. Finding the next generation of laborers with the specific skill sets is our biggest challenge moving forward,” says Victorine. State data says there are over 100,000 factory workers in the Inland Empire alone, but that number may be going down. Tom Humble, owner of Millennium Metal Fabrication Inc. also mentions how there are less and fewer workers. Humble manufactures metal products in Redlands, California where they are distributed all over the globe. When asked about the recent weakening in Inland factory growth, Humble says this may only be the beginning. “No one wants to do hard labor anymore. It may get to the point where there may not be anyone who knows how to do this type of labor,” marks Humble. 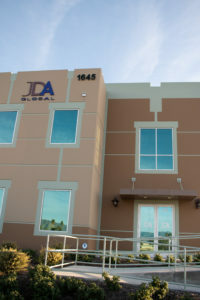 JDA Global is a manufacturing company in Redlands, California. They manufacture non-electrical pumps that are distributed and used all over the world. Tom Brown, President of JDA Global says he’s noticed more distribution companies around the area, not necessarily manufacturing companies. California imposes some of the highest state-business taxes in the entire U.S. This is causing lots of manufacturing companies to move outside California and sometimes the entire U.S.
Jason Guzman, Head Accounting manager for Elements Architectural Surface which makes cement products that imitate wood. Their products are found mainly in the Inland Empire and the Los-Angeles area, particularly in local businesses. They use cement instead of wood because any product they make is superior and longer-lasting than wood. They manufacture all their products in Redlands, California. While the Purchasing Managers Index hasn’t gone below 50, meaning the sector is still increasing, there are some factors starting to steep-in locally. Some of these factors are state taxes and laborers for these companies. State taxes are making it so big distribution companies are the only ones who can afford these taxes, therefore driving local manufacturing companies out. Laborers are becoming scarce. There are fewer laborers now more than ever. Some of the local manufacturing companies are forced to relocate because of better options in other states and sometimes other countries. For some of these companies, there is a concern for the future.